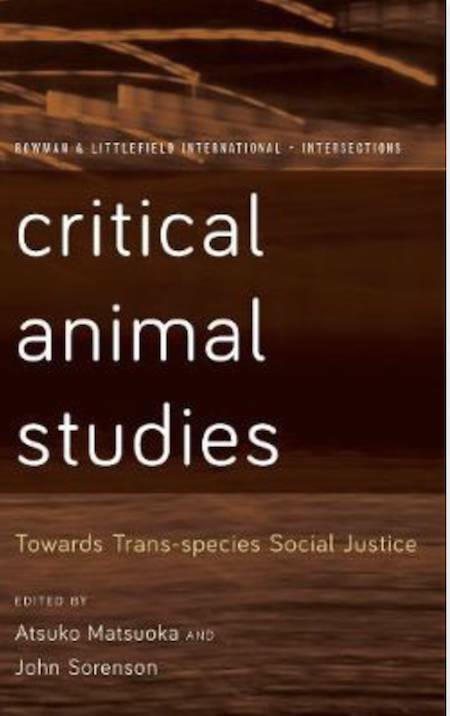 Critical Animal Studies presents a radical ethical and normative challenge to existing systems of power in the context of neoliberal capitalism and to the existential structure of speciesism. Karen’s analysis demonstrates that a particular type of ethical blindness persists in which exploitation and violence are, paradoxically, “visible, yet unperceived.” In a model of engaged scholarship, Davis exposes the tactical and rhetorical strategies that are used in media coverage of animal issues, such as the use of euphemisms like “humane” and “euthanasia” to describe brutal and sordid violence in the service of profit. She notes the shallow criticisms of specific abuses that exist together with a ready endorsement of the broad system in which all these cruelties are conducted. She argues that what some animal advocates consider strong critiques of animal abuse actually operate to leave readers powerless and ineffective. Citing a number of cases, Davis analyzes how these rhetorical practices operate not only in media reports but also in other types of texts and act to depoliticize animal abuse, disempower activists, and reinforce mainstream complacency. Within this model of analysis, liberal opinion – in this case, a flaccid concern for “humane treatment” linked with fawning plugs for “conscientious” omnivorism – plays an important gatekeeper role in maintaining the system, as it acts to constitute the outer limits of acceptable ideas and attitudes.